A procession into the future. 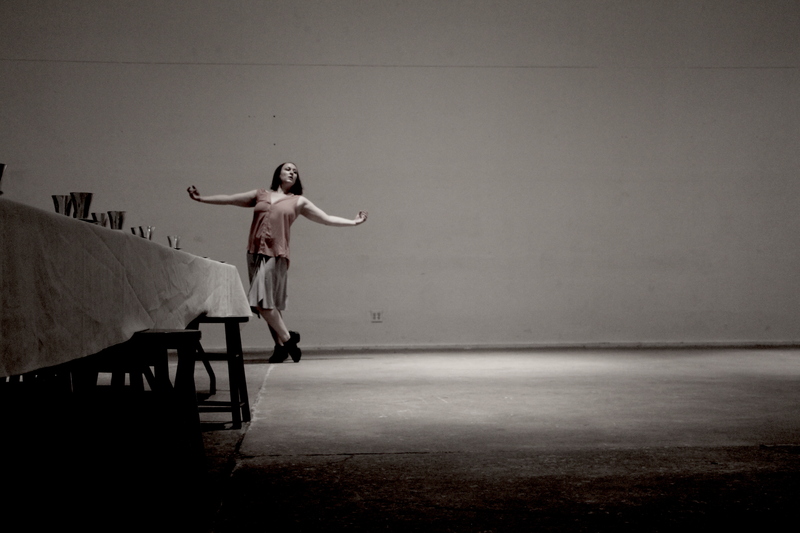 Supper, People on the Move, a dance performance inspired by migration, premieres at the Icebox Project Space at the Crane Arts building in Philadelphia in June of 2015. For choreographer Silvana Cardell, artistic director of Cardell Dance Theater, the dance has its origins in her own migration to America from Argentina in the early 2000s. But when she began developing this work in 2013, migration became a theme unto itself, and the many and varied experiences throughout the world, and throughout history, now inform the heart of Supper. 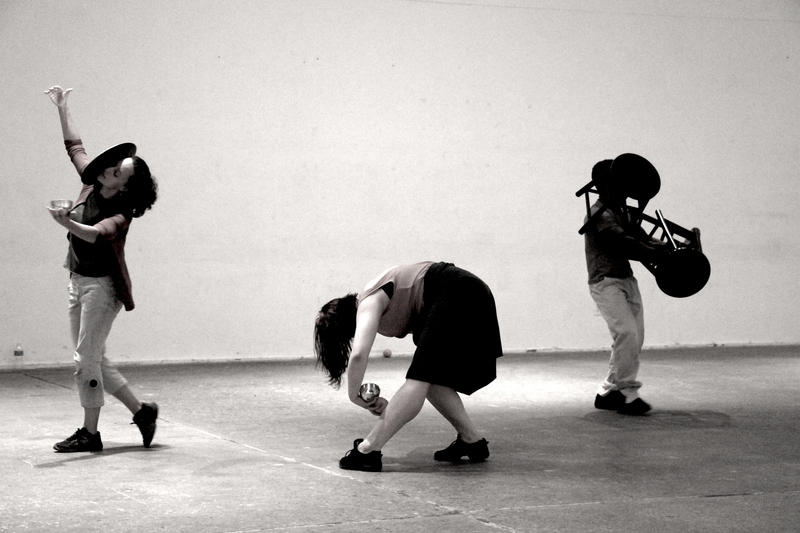 Supper, People on the Move will be performed at the Icebox Project Space at Crane Arts June 25–June 28, 2015. On the evening of June 26, Supper will also have a free public screening of the performance outside at Independence Hall National Historical Park. A companion exhibition to the dance, Portraits of People on the Move, explores individual stories of those who have migrated to America. The exhibition will be at the Gray Area at Crane Arts, which is adjacent to the performance space, June 24–28, 2015. What began for choreographer Silvana Cardell as dance borne of her personal history, evolved into an examination of the human experience of all people on the move, looking for new horizons. The immigrant journey is at the heart of a human’s ability to survive. Physical bodies moving between physical places define immigration. It is only appropriate that dance performed by virtuosic, striking dancers, is the art form to explore this experience and create a work of art from it. The title, Supper, refers to a farewell dinner, the last meal in the home of those who are about to journey out of their country of birth to a make a new home elsewhere. There are many stories of migration with striking common experiences of life and death consequences. Whether immigration starts as voluntary or involuntary, each person during this process builds a new self, losing and discovering major personal features that once seemed, or now have become, essential to one’s identity. From the beginning of history people have migrated; it is at the soul of human evolution. Supper takes the movement of migration and transforms it into art, into a dance that transcends its literal origins yet is grounded in them. In performance, the art of the movement of human migration is revealed. How long do you plan to stay in the building and why? Have you ever joined a terrorist organization? Have you ever been in jail? The performance begins at the entrance: audiences encounter a strict and arbitrary “restricted admission” protocol in common with an immigrant’s journey. What does it take to cross from one border to another? The venue, the Icebox Project Space at Crane Arts, lends itself to the barren, inhospitable qualities of a large holding cell, or other in-between spaces, real or abstracted: a white cube that suggests a non-destination, perhaps a desert, perhaps a living room, perhaps a place off in the far horizon. It is ideal for surveillance—from any angle you can observe it all. There exists no possibility of fleeing or disguising oneself. But, as an in-between place can become anything you want it, the performance space also lends itself to dreams, shadows, beauty, intimacy. Supper’s performance captures the physical embodiment of distant stories. 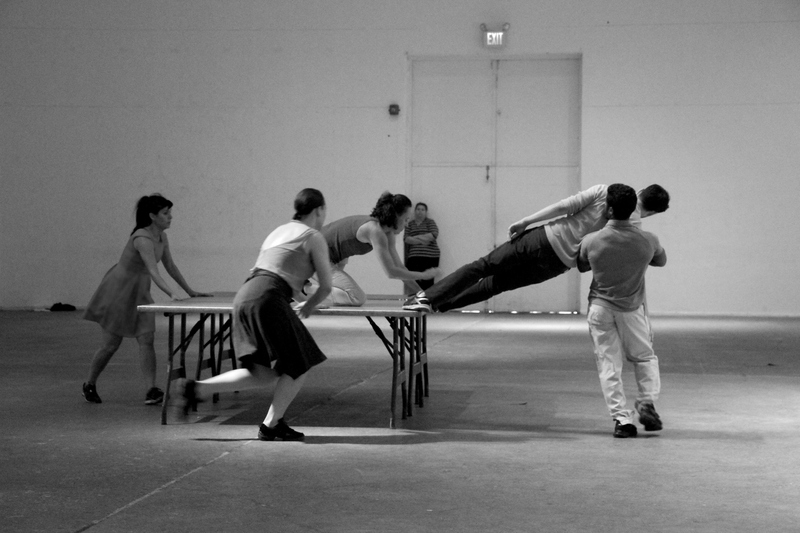 Large tables become trucks, platforms, and walls, train cars, with intricate entrances, exits, and forming barriers that dancers must navigate and dance on, over, under, and around. Paper abounds, a reminder of the mounds of necessary documents prevalent in the lives of immigrants. Fluctuating from constrained to celebratory, from violent to supportive, from terror to adventure, Supper explores noisy departures, bumpy beginnings, bodies exhausted by gravity, contorted by the act of balancing and being suspended in the nether world of being other. Performers reach deep into the “in between” state of the immigrant, one that reflects the private story as it intersects with the collective. Performers and guest speakers will moderate these conversations with audience members about immigration and its impact on the body and in people’s lives and how art making can bring awareness about social justice. Each section of the live work—entrance, performance, dinner—engages audiences in sensory, emotional, and social experiences. But above of all, audiences will witness an evocative, carefully crafted work of art that turns the migration experience into an art form, an exhilarating torrent of movement and tensions. Choreographer Silvana Cardell was drawn to the theme of immigration because it is deeply personal territory that is also so connected to a worldwide experience. The task became to transform the substance, the stories, and movement of migration into art—to look anew at this experience through the prism of movement, sound, and image. Supper takes on a subject that may be the most important human rights and social justice issue of contemporary society, and brings it to the creative realm of dance. Dance provides a powerful perspective on the physical and emotional conditions of the immigrant experience—because the immigrant experience is defined by physical placement, or displacement. Supper also addresses art’s larger relationship to issues of social justice: that contemporary art must have a relevant voice, and bring a strong perspective in matters of social justice. The immigrant lives in the overlap of cultures, and strives to make a home away from home. For immigrants home is a transient concept and recreating your home in a new country or place can become a lifetime enterprise. Living in the overlap can be alternately debilitating and exhilarating—an exciting place where you exist with more than one cultural perspective. Supper exists in a world of “in between” places: immigrants are constantly between journeys, waiting to move on to the next destination, in between stages, in between life and death. They stretch their abilities, physical and mental, balancing their lives upon an existence of in betweeness, where secure footholds are scarce. As part of her research Cardell visited the American–Mexican border at the border between McAllen, Texas, and Reynosa, Mexico. She found it is very intense to experience life where so many people trespass the border illegally. “I live with a decision I made a decade ago: to move from Buenos Aires to Philadelphia,” says Cardell. “Even thought my journey came about because of professional development, the experience was very intense and proved to be so difficult emotionally and physically.” But she could not imagine how difficult it has been for the many people who trespass the border illegally, especially for the children who get stuck in the limbo of immigration politics while integrating into their new culture—a very contradictory experience. Cardell has spoken to many immigrants, listening to their stories, finding the commonalities of the individual journeys and stories of passage. In collecting these stories Cardell has interacted with people that might have never seen a dance performance. Yet they become involved in the process; they become Supper’s first audience. Two of the dancers performing Supper are themselves migrant children, one brought from Cuba (on one of the Marielitos boats, which sank three times before arriving to Miami) and one from Mexico as toddlers. Migration is movement to achieve a better future, escape danger, to make a living. The United States is still very admired by people throughout the world, admired for the creativity, principles of freedom, opportunity and inclusion. The immigration experience stretches a person into many contradictory positions where the destination you dream of and admire can also be your adversary. Yet people risking their lives and freedom to immigrate, why would this be worth it? Risking getting trapped in between politics, in between cultures, a life in limbo. What is the initial motivation? Is this a leap of faith? The dance explores that moment of trespassing, the physical and emotional entanglement that derives of one decision, a leap of faith, this is the common experience that drives Supper, People on the Move. In Supper, the performers’ bodies are in a state of tension that never truly relents—even in quieter moments, it hovers. They capture the moment when forces transformed their bodies: these bodies have defiantly and dangerously crossed frontiers. In Supper, the body is the new territory, ready for the possibility of extreme physical exertion, and containing and carrying signs of identity, historical contradictions, mental and emotional entanglements. Barriers are made to stop or stem migration—to stop movement—yet create new movement as bodies confront, get around, evade, and are repelled by these barriers. The dance between forces that impede one’s journey creates a world of existence that is in between destinations, status, belonging, rights, states, emotions, family. The repercussions of immigration are on the body: it is the body that endures extremes of heat and cold, heavy lifting, physical discomfort, long waits, restrictions of space, and rushed moves to new destinations—as well as meaningful compassionate actions from people encountered along the way. Living in the overlap of cultures, the immigrant’s task is to make a home away from home; along the way, whatever one’s circumstances, each person has to build a new self, losing and finding major features of one’s identity. Living in the overlap of cultures requires flexibility and mobility; adapting and moving away from the familiar means a constant reexamination of choices. 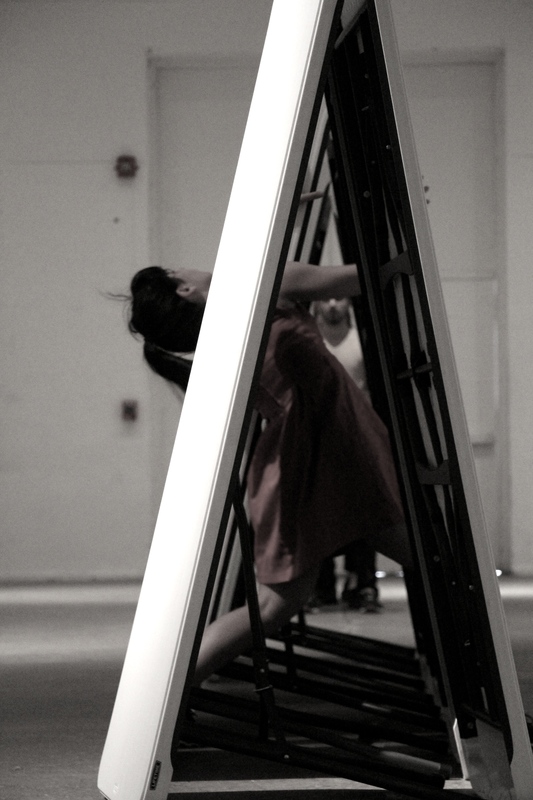 Cardell creates dance by using private images and improvisational structures. She communicates what needs to happen and allows performers to adapt to the moment. Pure task oriented movement—walking, running, climbing, falling, diving—have an engrossing energy about them in their sheer physicality. Illogical efforts display the body at its greatest vulnerability. The dancing oscillates between immediacy and delicacy, movements at great speed as well as moments which seem to stretch time, quiet and noise, rest and danger, the need to live in the moment because the next one is so unpredictable. Supper is grounded in the stories of legal and illegal immigrants, which are constantly redefined by territorial mobility, safety, and conflict in the pursuit of dreams and opportunities. These images, sensations, and actions are kneaded into the movement. In Supper, the protagonists make their trespassing journey carrying all they have in their bodies to a new place. They create a procession into the future. From February 1­–April 1, 2015, exhibition curator Jennifer Baker will be gathering the stories, memories, and images of Philadelphia-area immigrants for Portraits of People on the Move as a companion piece to the dance Supper, People on the Move. As a part of the exhibition, Baker is making a book of personal stories of immigrants living in the Philadelphia area. From the many stories and photographs included in the book, several will be exhibited on the walls of the Crane Arts Building’s Grey Area. Many more stories and photos will be featured online at the Supperdance.com blog (where you can also download and find the questionnaire) and on Cardell Dance Theater’s Facebook page. Art and the institutions that support art are in a powerful position to explore issues that envelop the lives of immigrants and bring a perspective to the world that politics, authority, and bureaucracy are clearly unable to handle. Volunteers, community leaders, and guest speakers will join in conversations with the audiences attending the performance and the Independence Mall screening of the performance. Among the guest speakers will be members of Philadelphia immigration citizen coalition, Welcoming Center for New Pennsylvanians, Sister of Mercy of the Americas, New Sanctuary Movement and social practice professors from Penn, Swarthmore College and Georgian Court University. Major support for Supper, People on the Move has been provided by The Pew Center for Arts & Heritage, with additional support from Swarthmore College Project and Georgian Court University Summer Research grant.